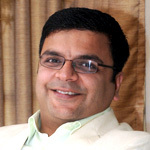 Shailesh Kapoor: TRAI’s Tariff Order: What Lies Ahead? Thereâ€™s a buzz in the television industry over the last few weeks. TRAIâ€™s tariff order set the ball rolling end 2018, and as the date of implementation nears, thereâ€™s high anticipation of how things will eventually pan out. The situation is fairly untested for the Indian market, and no one knows the exact outcome for sure. Today (February 1) was the day when it all comes into effect, but the date seems to have been extended to February 6 now. But itâ€™s only a matter of days when we enter a new regime thatâ€™s more subscription-driven than ever before. The biggest challenge that is evident already, and will manifest itself fully once the critical date arrives, is consumer comprehension. In a market where consumers have traditionally been handed down a standard packaged offering, barring some premium channels available on a stand-alone basis, the comprehension of Pay vs. FTA itself is fairly low. Add to it the complexity of selecting packs and estimating oneâ€™s total spend for various possible scenarios and plans, and you have chaos waiting to erupt. The complicatedly phrased NCF (Network Capacity Fee) will worsen matters, as most channel communication handle this aspect too well. It can be that rude shock in their final cable bill calculation that consumers are still not prepared for. Channels have been aggressive in their communication, but consumer understanding of the detailing remains low. In reality, it may then come down to people taking the minimum basic packs or channels they need initially, and with time, adding the ones they realize are missing on their TV, but need to be watched. The two key questions here are: How soon will things stabilize, and who will lose out and who will gain? The answer to the first question is easier to estimate. Confusion borne out of lack of comprehension will create about 3-4 weeks of disruption. But Indian consumers are fairly savvy, especially when it comes to aspects that involve price sensitivity. While customer service executives at many DTH and MSOs are still all at sea, YouTube videos and WhatsApp forwards educating viewers are now in circulation, aiding comprehension. Once the date is there, things can gain momentum very fast. After all, itâ€™s an Indian thing to do things right at the end. So, expect about eight weeks for full stability. â€˜Who will lose and who will gainâ€™ is a tougher question. Even the most popular pack (one of the top four Hindi GEC packs) may not get more than 30-40% subscription after things settle down (but for the impact of key cricket events like IPL and the Cricket World Cup). But eventually, the TV viewing time of 2.5-3 hours per day is going to hold firm. Hence, channels that are low on appointment viewing will probably tend to lose, while those high on appointment viewing will benefit. Appointment viewing has been the Holy Grail of television for years now. But very few in the industry actually understand this term in its truest sense. Often, high ratings are equated with appointment viewing and vice versa. This myth is likely to be shattered soon. Smart packaging is a key, and packs that lack a marquee channel, like a leader or no. 2 GEC, movie or news channel, may be at distinct disadvantage. That could change some of the dynamics of the industry, and even encourage alliances, if not acquisitions, of some of the smaller players in the category. Irrespective of how things pan out, the next few weeks are going to high on excitement and anticipation. Be prepared for some surprises along the way too! 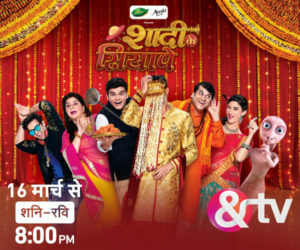 Shailesh Kapoor: 2019 Likely to be Hindi GEC’s Worst Year Ever?